Gavin McGrath 03/26/19 "Aye, tis exactly what I said." "Fear not, I come with snacks." Dita Morgenstern 03/26/19 [smiles softly.] I hope you do. Kyon-gel 03/25/19 There was a pause, the Mask so still it appeared to be hovering in place, as if every other piece of his body hung from it like a cloths-hook. There was a fluttering of his fingers, the gloved hands lowering to his sides, in a stiffened posture, as if she had said something quiet offensive. The air about his form was strange, nothing visible and yet their was a enlarging sense about his visage. The scent of the deep forest in bloom settling back. When Kyon finally responded, his voice was calm but notably restrained, sounding more sad then upset. "Quel point de vue très triste... Vous n'atteindrez jamais le sommet avec un esprit fermé." Kyon-gel 03/25/19 "Je crois que vous avez utilisé ces mots à la perfection!" The impression of a bright, wide smile coming through in his voice, Kyon was far from offended, in fact sounding a bit pleased with her conclusion. "La banalité est l'ennemi de la magie." Kyon-gel 03/25/19 "Je vais me réjouir de la tentative de devenir si ..." A gloved hand pressed over his heart, his body gesture as some sort of promise for this one to the other. Kyon-gel 03/25/19 There was plenty to unpack there on both sides, but reading the situation as he had, he thought it unwise to do so in passing. "Permettez de laisser l'offre ouverte pour vous, mademoiselle Kingston... Un voyage peut passer très vite quand avec des amis." His tone continuing to bely levels beyond the surface of his words. Kyon-gel 03/25/19 He wasn't sure sterile was the word he would use the describe the first-world, but he understand he meaning. " C'est différent de mon époque, mais il reste quelques-unes des plus belles forêts que j'ai jamais vues... Je serais heureux de vous montrer les sommets du mont Kilimandjaro." Kyon-gel 03/25/19 He laugh comes forth boisterously, placing a hand up as is attempt to hide a wicked smile, the mask figure, settles himself quickly. "Oui, votre langue maternelle est divine à mes oreilles!" The was a slight pause as he seems to search for the right words. "S'il te plaît pardonne. Je ne sais pas où appeler l'endroit où je suis né... Afrique, je suppose." Kyon-gel 03/25/19 "Vous aussi! ... On m'a dit que je suis bon avec ma langue." He gestures, excusing her apology. "Pas de mal... Je m'appelle Ceangal." The name forcing a change from the soft French tones into hard consonant, from an Irish Gaelic origin. "Merci de m'accueillir." Dita Morgenstern 03/25/19 [devious grin.] If they aren't, I beg someone to say something. Kyon-gel 03/24/19 "Magnifique! Parlons seulement en français, pour toujours." 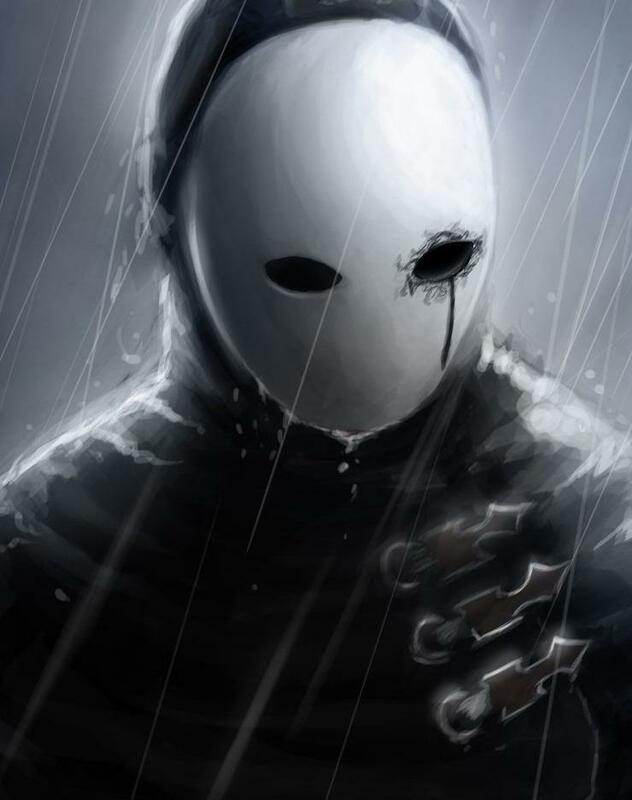 The masked man bows, his dark empty eye-sockets staring with silent glee. Gavin McGrath 03/24/19 "I just repeated what you said in Irish. Or, at least, what I think you said." "You will come to notice I tend to not make sense sometimes. It's either the booze or I'm so hungry I can't think straight." Kyon-gel 03/24/19 ~waves back~ Thank you, kindly! Gavin McGrath 03/24/19 "Aye. Here I stand. Death and I have a complicated relationship." "She wants me but I play hard to get." "Is cúis áthais dom bualadh leat." "I don't speak French, but I understand it for the most part. Irish and Scottish Gaelic are the only other two languages I have down." Gavin McGrath 03/24/19 "Mien was spent gettin' eaten by worms and maggots so if it is worse than that, I am truly sorry for your misfortune, lass." Gavin McGrath 03/24/19 "Well I went on a bit of a 'vacation' m'self. Hopefully yours was more enjoyable than mine!" Gavin McGrath 03/24/19 "Oh, French! Fancy!" "Thanks for the welcome. Glad to be back." Dita Morgenstern 03/22/19 [relieved.] I've hurt people too. But not the ones that people think I did. Dita Morgenstern 02/22/19 [curious cant to her head.] Why would he not be safe with you? Iva Herrera 02/03/19 Upon hearing the French accent, the abrupt departure was explained. INternally scolding herself, Iva noted how many people thought New Yorkers were rude which was just plain wrong. Well...maybe not entirely wrong. They weren't rude, just misunderstood? Ah hell, either way. Perhaps she just didn't understand French culture. A lift of her cherry red lips indicated there were no hard feelings. "I'd love to see some things not found in a tour guide. When things are right side up for you, just give me a shout, alright?" It's okay. Things are confusing around here. WildKat 01/21/19 Congrats on PotD! Eloise Buchanan 01/21/19 Looking pretty on the front page, what's your secret? "Chur not rambling, sometimes I ramble and I start talking and then one thing after another comes out and I just keep talking acuz, you know I get nervous and, and, and..."
"Uhm, sankoes... everyone is so nice. Except Mr. Edward acuz skeery." Dita Morgenstern 01/04/19 [chews on the inside of her cheek.] What brought you to us? D-did something h-happen to your Dad? Dita Morgenstern 01/03/19 Since the beginning ..the first time Miss Dessa opened. [small smile.] And you? Have you been in any homes before this? Dita Morgenstern 01/02/19 [cants head.] D-do I? I s-suppose I do..
[smiles meekly.] Nice to meet you Estelle. Dita Morgenstern 01/02/19 [peeks curiously at the woman.] Welcome to the fold. I-I'm Dita. Edward Brollachan 12/31/18 "We are twenty strong w'ye joinin' us lass. When ye get to Paris, 12th arrondissement, we shall assign ye pleasant quarters in the Manse." He handed her a onyx business card with gold leaf script. "When ye get t'de Gaulle airport, call me and I'll send a limo t'pick ye up, nae?" Edward Brollachan 12/31/18 "A new Menagerian... and another pretty one at that. Welcome t'the zoo, Estelle. 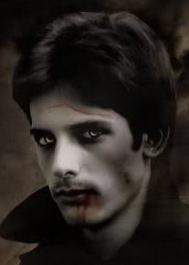 I am Edward and I am at yo'r service if ye need anythin'." Eloise Buchanan 12/30/18 Welcome to the Animal House! WildKat 12/30/18 "Welcome to the nuthouse!" Maycee Thomas 12/30/18 Fish...Lobster...the souls of young children...you decide! Kyla 12/30/18 Welcome to The Menagerie! AdonisOMaera 12/30/18 Adonis happily pads over to the newest member and beams! "Hi there! my warmest welcomes to you~!" Maeve 12/30/18 Welcome to the circus. Hope you're not afraid of clowns. Maycee Thomas 12/30/18 Welcome to the zoo. I’m already the penguin just so you know.